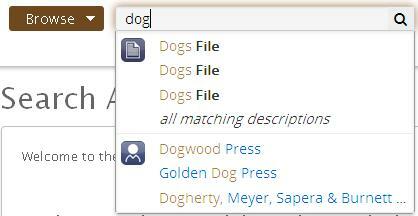 Advanced Search has another filter. 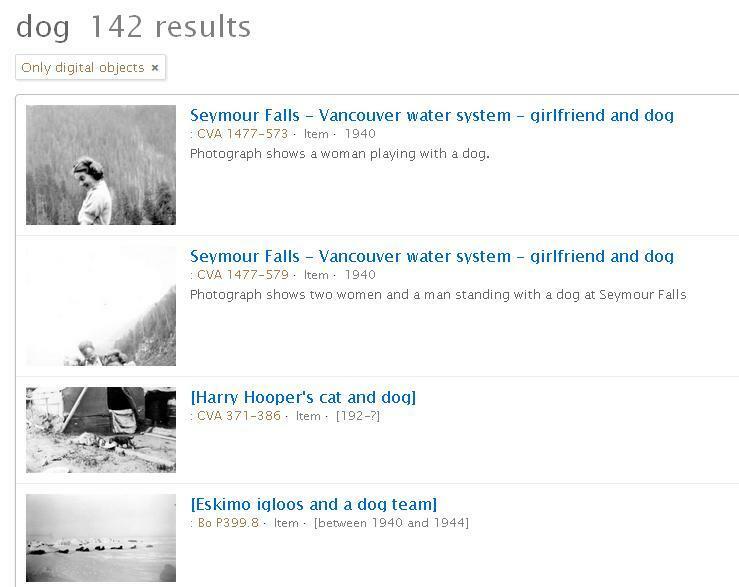 Searches can be narrowed to search within one top-level description. Enter the exact name of the fonds or collection. You don’t have to hit the Search button any more: hitting Enter will start your search. 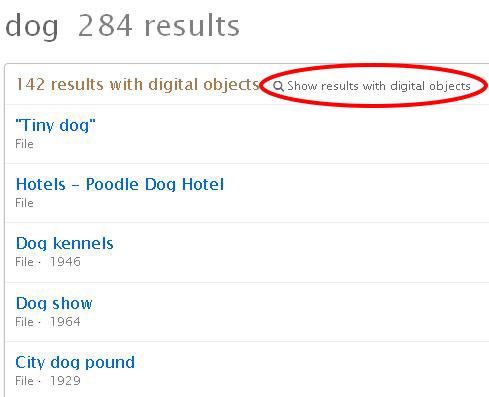 Results from a Simple Search can be filtered to those with digital objects only. Just hit the link. Results from a Simple Search can be narrowed using the facets in the sidebar. It provides a glance at properties of all your results. Each facet is a link to just those results. For power users: date searching has changed significantly. Searching by date and by date range are both different. See About Searching for details. We’ve updated About Searching to explain the changes. We welcome feedback on everything.